Personalized Ornaments captures today's memory that will be relived and enjoyed for years to come. So go ahead and design your ornament to capture the special moment of this year. Start a tradition of capturing your family's or your child's special moment / memory of this year and cherish the history and timeline that custom ornament for years to come, including passing them down to future generations. 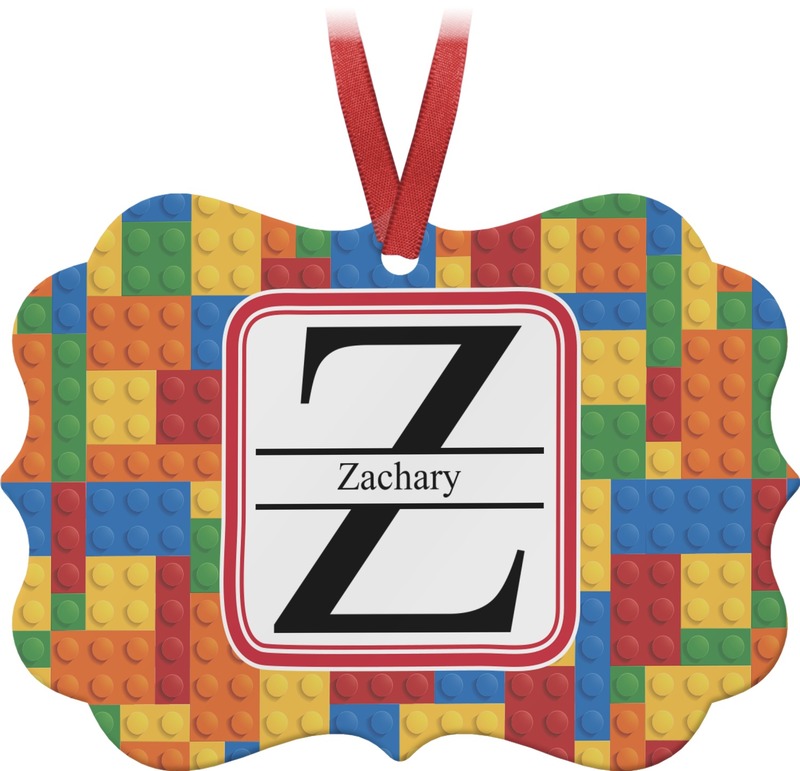 This personalized ornament is the perfect gift, especially when given as a gift tag! Our ornament is made from aluminum and measures approx: 4"Wx2.75"Hx0.045"D. ; Your design will be "printed" on the front gloss side of the ornament. The back is side is silver. Get matching / coordinating personalized gift paper and you now have the PERFECTLY wrapped gift! This is a great ornament!! And it will be really special this year, as the 11 year old cheer leader, with her squad, just WON the Nationals! And they were able to give her red hair, too.